Sorry, I couldn't help myself. Today's bloggers are some of my favorite people.. Carrie, Laurie and Polly and Cheryl. 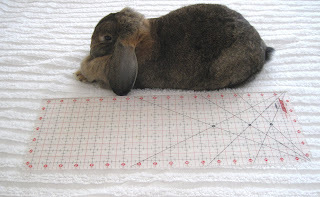 Pay them all a visit and leave a comment, you know you want a chance to win those rulers! If you didn't comment yesterday because you were too busy making fudge, there's still time, get on that. So everybody, you guys have a great weekend!!! Thanks for all the great comments yesterday. She is tinier than I thought.... and of course, cute too! How Cute! He measures up for sure! Sweet and just a bit of a thing!